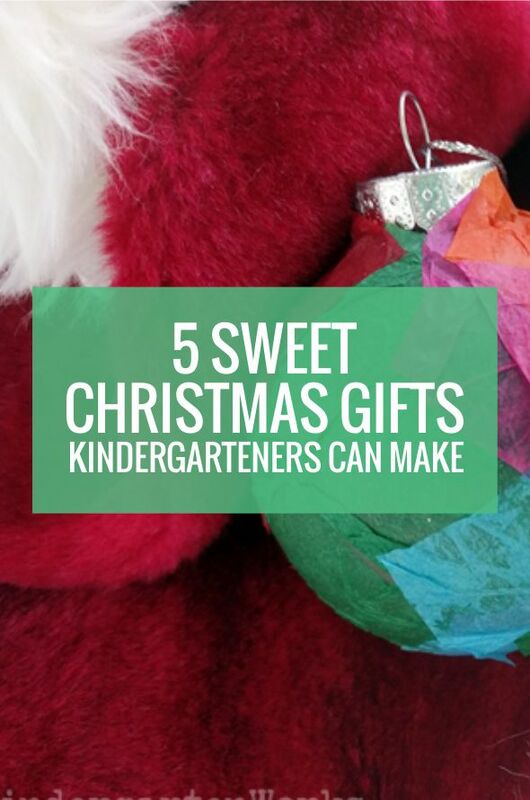 When it comes to making Christmas gifts for parents, you may be wondering what can your kindergarteners make? Well, there is always Christmas ornaments that turn out to be great keepsakes! 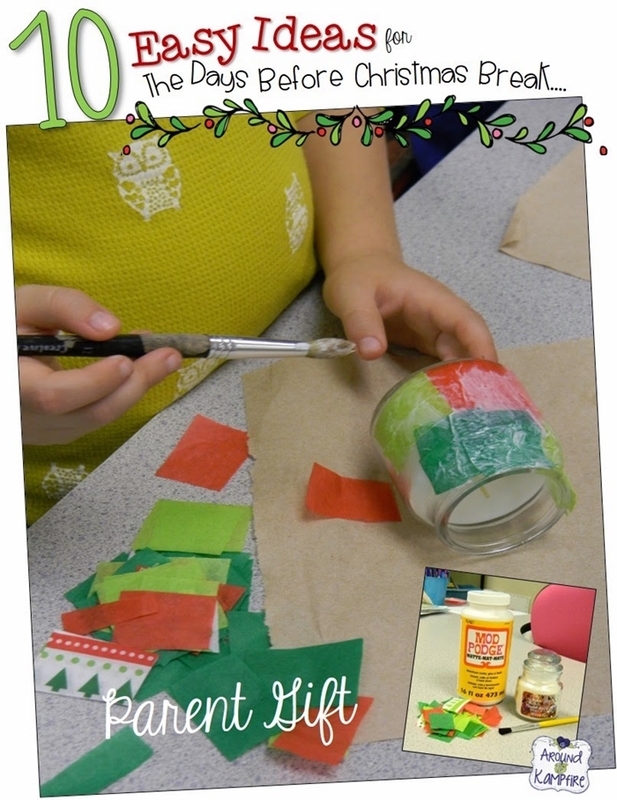 But there are a few other fun ideas that rank high in my mind as Christmas gifts kindergarteners can make for parents. I like gifts that are simple to pull together or unique. 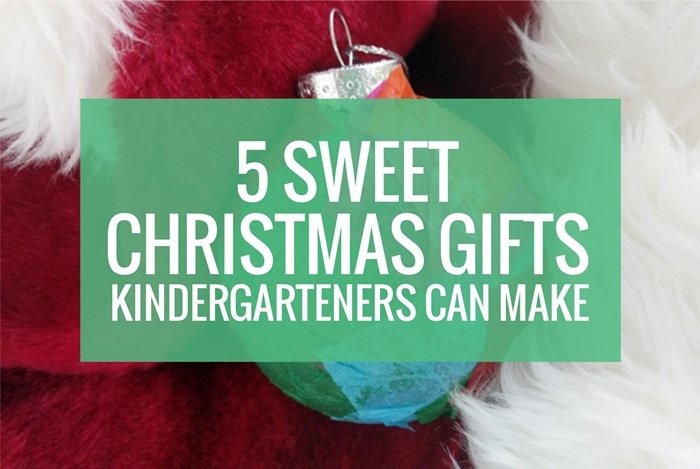 These Christmas gifts that kindergarteners can make are sweet – and kinda simple. Parents will love them. 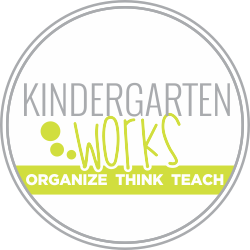 If you have a favorite gift that your students make to give to parents share it with us in the comments or on our facebook page. Thin down some glue with water and paint liberally! 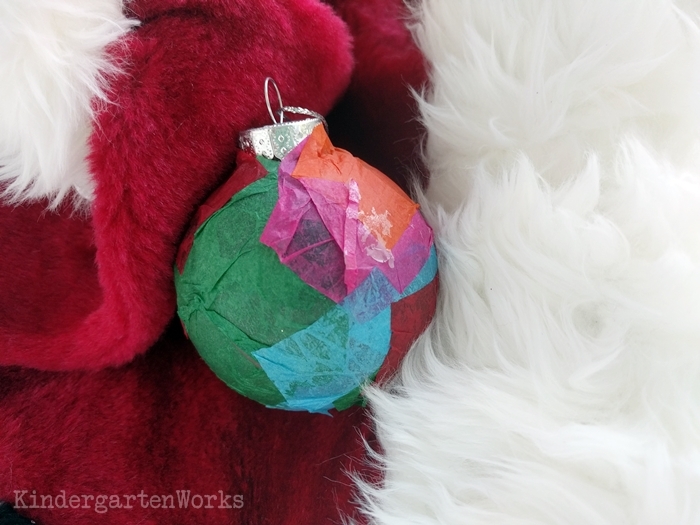 Overlap tissue paper in Christmas colors (or any color palette) on a plastic Christmas bulb from the Dollar Tree. 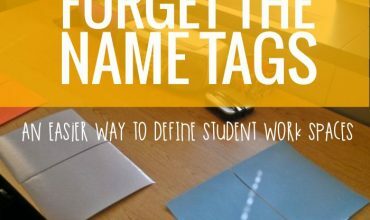 You can write on them or add embellishments (like snowflake stickers or glitter) once they’re dry. I always seemed to have tissue paper in my cupboards and these bulbs were 2 for $1, so I could swing that price for an entire class. It’s a very quick project – the smaller the pieces of tissue paper, the more intricate ornament you can create. Pick up small candle votives from the Dollar Tree. Paint layers of glue and tissue paper to make sweet candles for parents for Christmas. I like that it is a practical and useful decoration at Christmas time. You could easily wrap this in an adorable hand print reindeer gift sack. 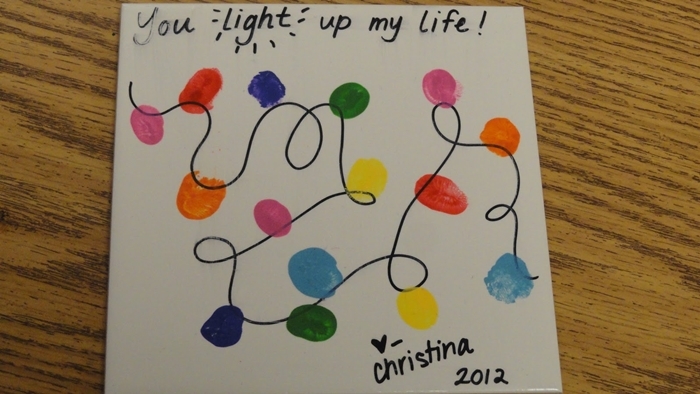 Paint thumbprints or fingerprints onto inexpensive tiles to make a colorful string of Christmas lights. This can easily become a coaster or can be personalized with mom/dad or any caregivers name. 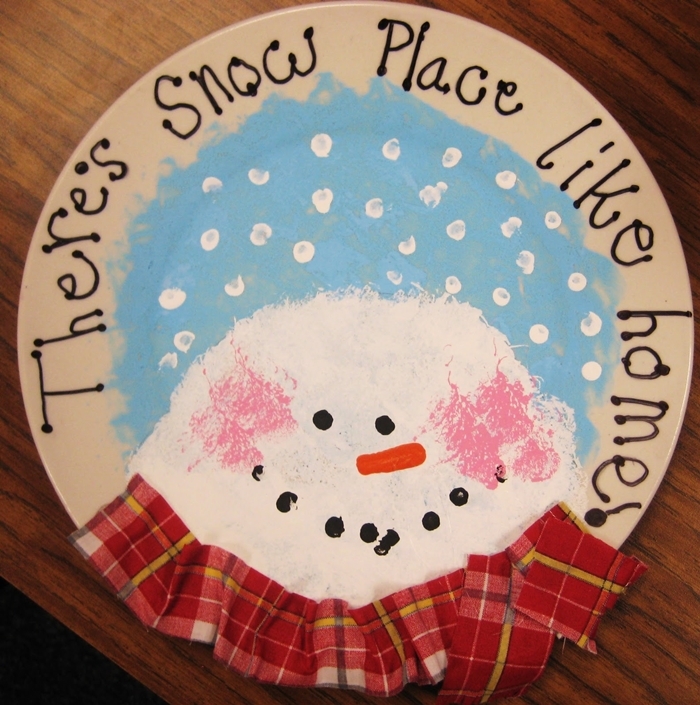 Paint with q-tips and cotton balls on an inexpensive plate to create a winter snowman decoration. Use the eraser end of a pencil to make eyes, mouth and snowflakes. 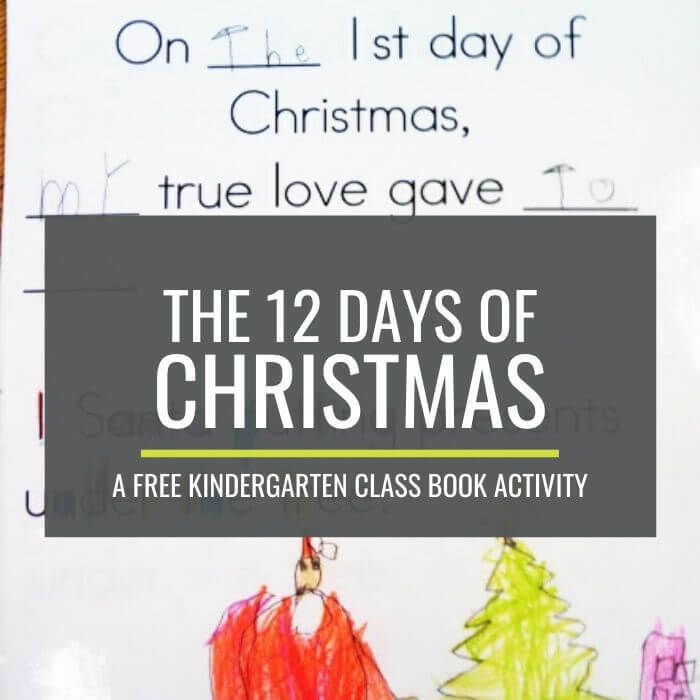 Capture your students’ cute handwriting on this classic-style Christmas gift. 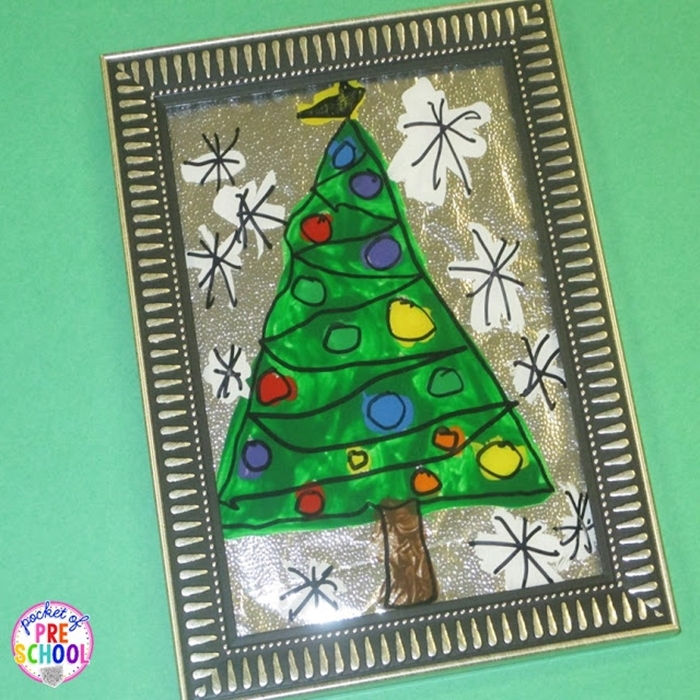 Stain glass-inspired Christmas trees will be a hit with foil, Sharpie markers, paint and a picture frame. This one just might be my favorite. I love the finished product and it can easily by stored year after year. 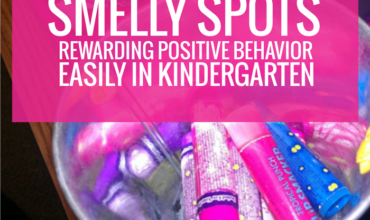 There you have some simple but sweet presents kindergarteners can make for parents. If you’ve got tissue paper and paint you’re halfway there to having everything you need for any one of these projects. I hope they can save you time in looking for just the right gift.